Archival print of Over the Edge by Canadian artist Barbara Hull available on canvas and fine art papers. 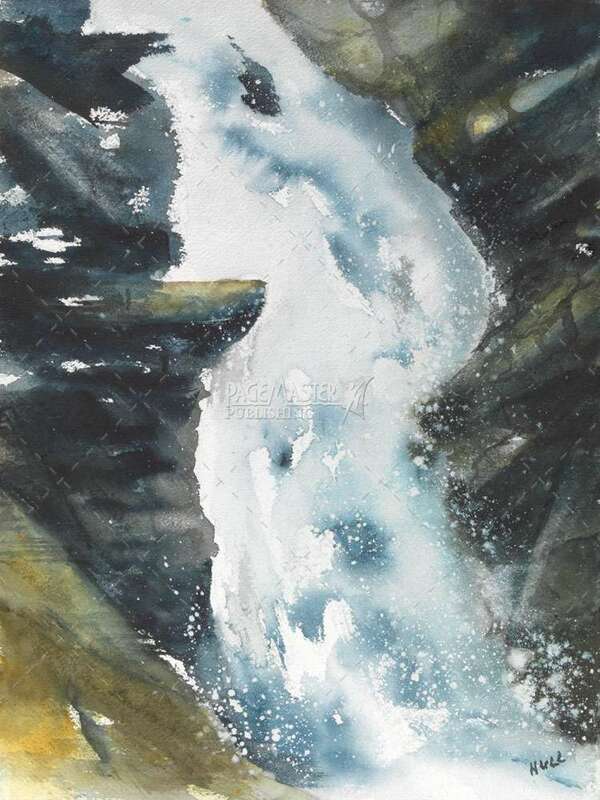 I went through a period of painting nothing but waterfalls. 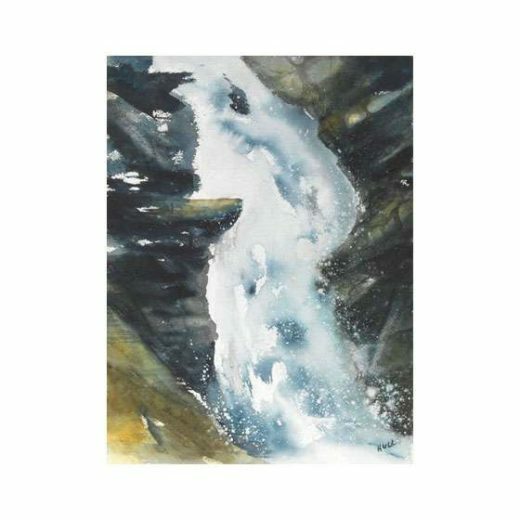 Whatever I started out to paint – a forest, a lake, mountains – a waterfall always crept in. Here you can see what I love: the power and seeming invincibility of the water. Custom sizes are available (send an email or add a query) optimum size 26.4 x 35.2.